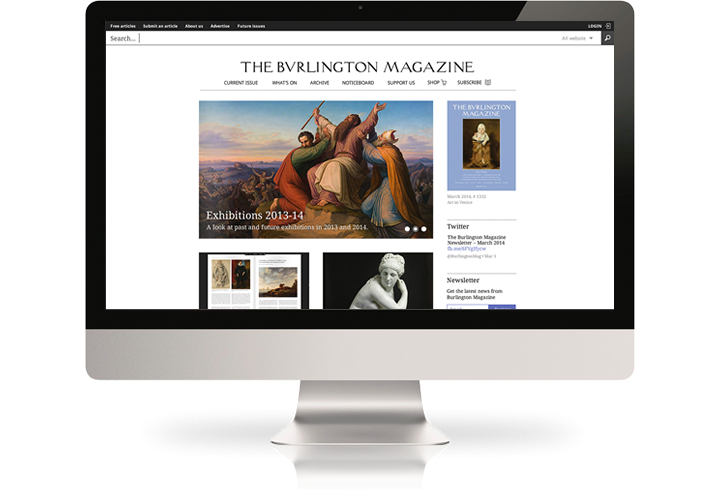 The Burlington Magazine is the world's longest running art magazine: it started in 1903. In 2003 they had their 100-year history scanned on JSTOR and commissioned Keepthinking a bespoke version of our Qi CMS to help them index. 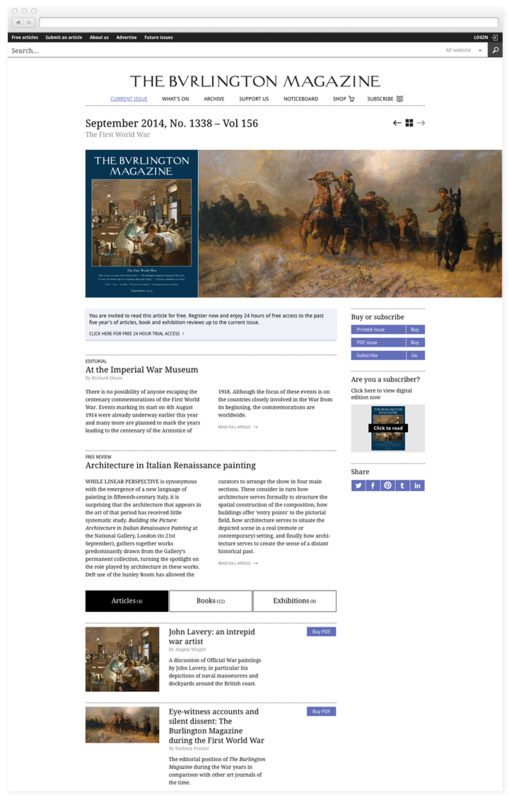 We have now redesigned the entire website, featuring the index, magazine content, the ability to purchase articles and subscriptions online, an event's diary, a gallery directory... and much more. 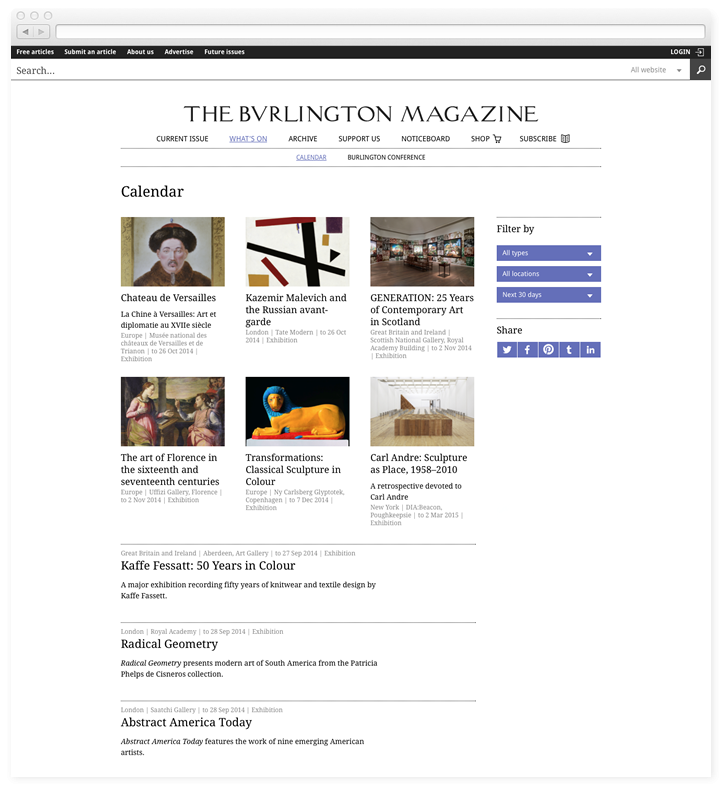 The content follows a regular and clear grid, prioritising the top features carousel and the latest issue. 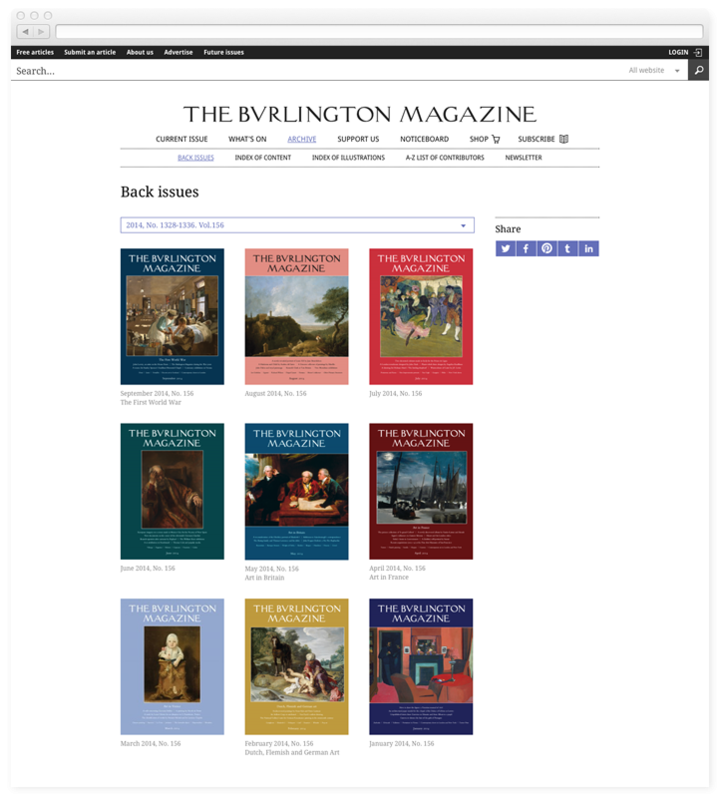 Every single issue of the magazine, published since 1903 is represented on the website, linking to a table of content - published as a feed from the Index. 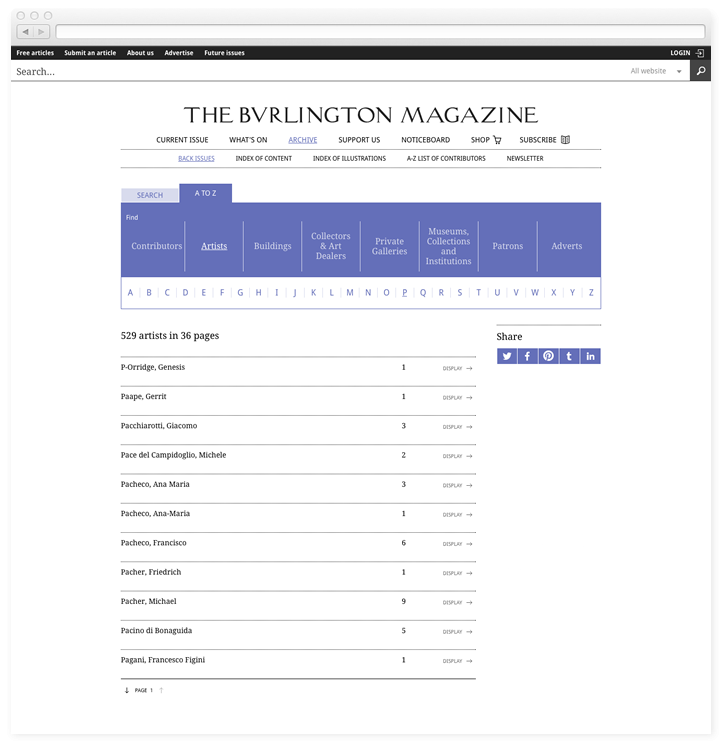 Clicking on an individual issue will bring up all of its content, which is open to subscribers. Non subscribers may purchase entire issues, as PDF or printed volumes, as well as individual articles. The calendars features the most important art events from all over the world, easily filtered by type, location or date. When available, PDF reviews can be easily bought. The index blurs the notions of simple and advanced search facilities. Users may start with the simplest of searches (everything, everywhere) and then progressively increase the complexity of the query by adding new fields or the way that searches are performed within each field. 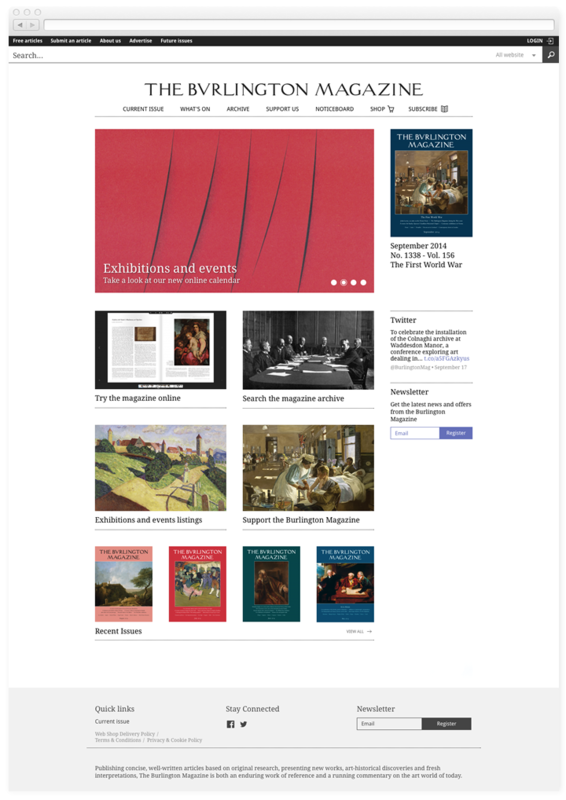 Vocabularies such as AAT and ULAN from Getty increase power of search even further. 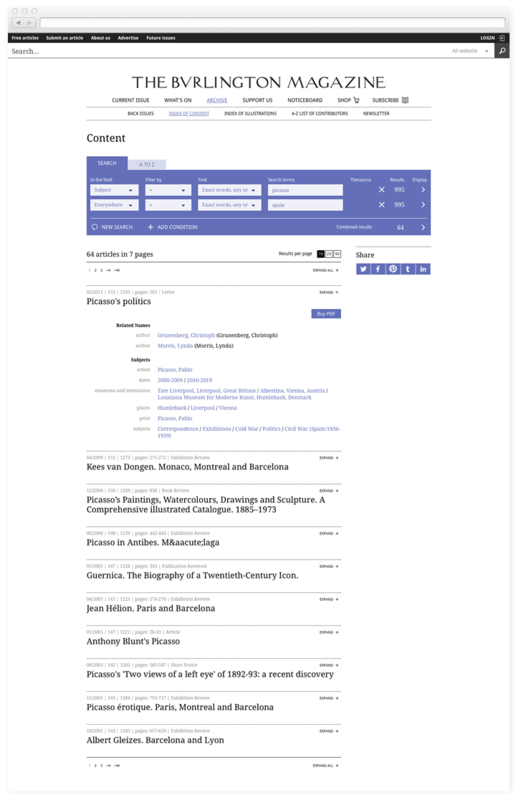 As an alternative to search, articles and illustrations may be browsed by category and alphabetically.